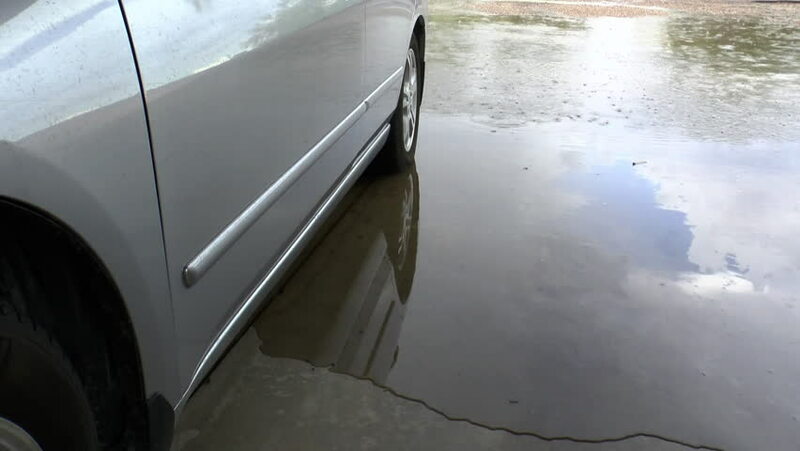 Time Lapse, Heavy rains flow around tires of parked car, engulf cement carport, as sky, raindrops reflected in puddles, car door. hd00:11Close up shot of the hands of man who unstick the film with white cowl expensive car. This film protects the vehicle from the rough painting. hd00:12Flight over land view from cockpit plane.